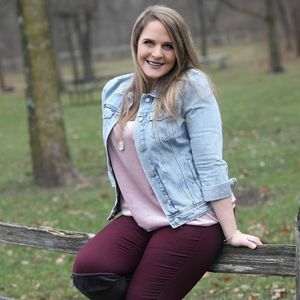 Sarah Kirsten (Bein) Espinoza, 38, of Ankeny passed suddenly into the arms of Her Lord and Savior, Jesus Christ April 4, 2019. Services will be 11:00 a.m., Tuesday April 9, 2019 at Holy Trinity Lutheran Church, 517 SW Des Moines St., Ankeny. Visitation will be one hour before the service. Sarah was born April 19, 1980 to her proud parents John and Nancy Bein of Bondurant, Iowa. She attended Bondurant-Farrar schools and Graduated in 1998. While in school she belonged to the National Honor Society. She also excelled in speech, vocal music, and show choir receiving many State honors. She went on to Drake University graduating with a Degree in Journalism/Mass Communication in 2002. She was also part of the Drake Women's Chorus. She was very active in several non-profit organizations in the Des Moines area including Paws and Effect, Iowa Remembers, Ankeny Chamber of Commerce. She was very passionate about music and was very involved in the Des Moines Metro Music Scene and represented several local artists. Sarah never encountered a person she didn't like. She would always try to help people when needed. She was loved by all and an inspiration to many. Sarah had been in constant pain all of the way back to high school but never showed it to anyone. Always had a smile on her face and a kind word to say. In December 2002 Sarah married Michael Troy Espinoza, even though the union of Mike and Sarah didn't last they were Blessed with three beautiful children. Left to cherish Sarah's memory are her three children; Erica Lillian Hope Espinoza, Isabella Grace Espinoza, and Liliana Faith Espinoza from Ankeny; parents, John and Nancy Bein of Bondurant; brother, Eric Bein and his girlfriend Cayetana; Her ex-husband, Mike Espinoza from Kelley, Iowa , her Maternal Grandmother, Gaylis Tenold of Northwood, Iowa, and many aunts, uncles and cousins and friends. Sarah is preceded in death by her Paternal grandparents Vernon & Jeanne Bein and her Maternal grandfather Olger Tenold. Special thanks to Pastor Pamela Schroeder from Holy Trinity Lutheran Church, the Unity Point Palliative Care Team, and Tammy Bennet, and countless others that provided help during the last few weeks of Sarah's life. Post Office Box #909, Ankeny, Iowa 50021 for a Trust Fund to be set up for Sarah's daughters. So sorry John for the loss of Sarah. She was obviously a very talented and loving person that you raised. Your loss is unimaginable and you and your family and those girls are in my thoughts and prayers. Love you my brother!!! !